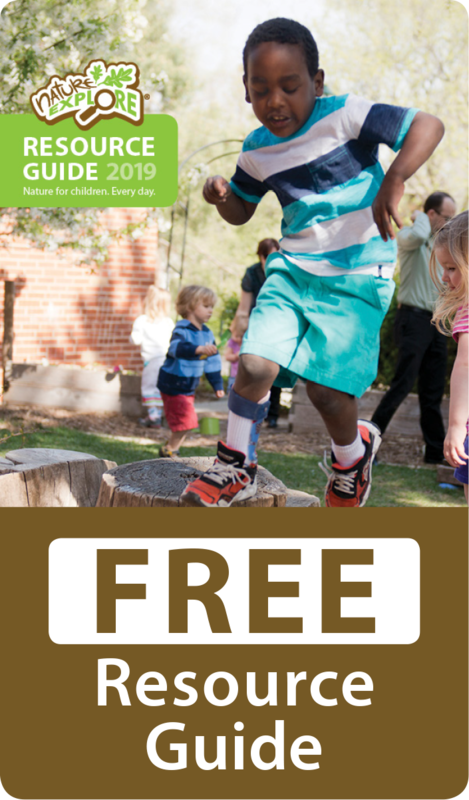 I was inspired to create a Nature Explore classroom after seeing many examples at a conference I attended a few years ago. My teenage son wants to be an engineer so he helped create many things in my outdoor classroom. 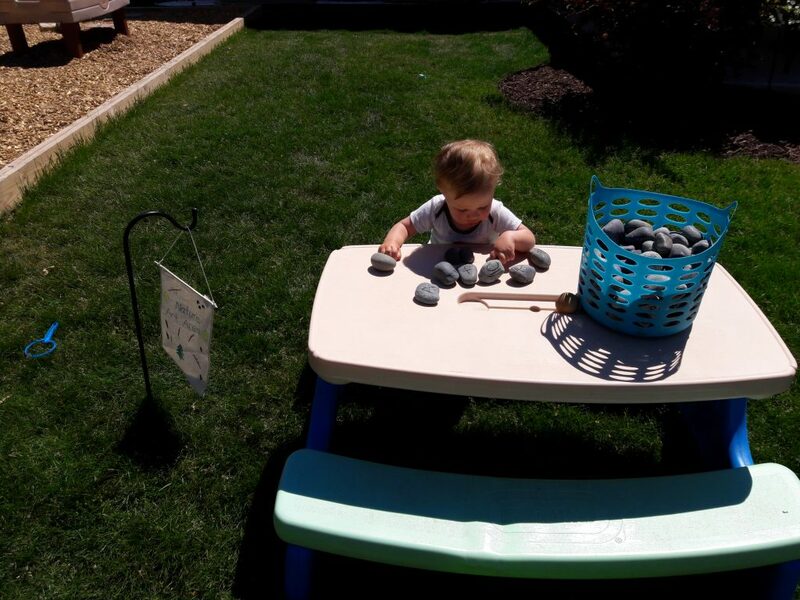 He made a music wall, carwash, picnic table and helped construct the climbing and crawling area. 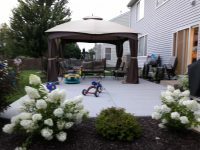 The canopy on my cement patio creates shade for the children. We often enjoy picnic lunches or snack on the homemade child sized picnic table. We also read stories and play with a variety of natural materials like rocks, pinecones, and tree blocks. 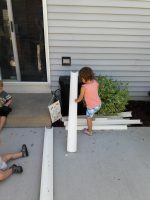 The other half of the patio is used for riding toys and building toys, like the chutes and balls and other large blocks. In the grass there is a messy materials area where I have an easel and pendulum for painting. 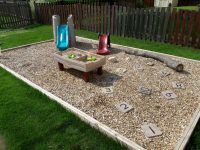 In the climbing and crawling area there is a log for balancing, sandbox, stepping stones with numbers and dump trucks for filling and dumping. 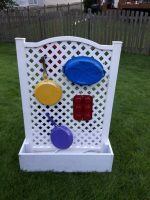 There is also a music wall with colorful pots and pans to explore sounds. 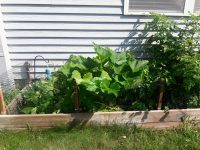 The children enjoy watching the vegetables grow in the garden. The children like to help pick the tomatoes and peppers and eat them for snack. 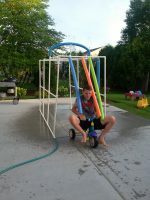 The biggest hit is the carwash made from PVC pipe. The children like using it to fill up buckets from the sprayers. The children like to walk or ride bikes through it. A big thank you goes out to my family and daycare families for their help and support in creating my outdoor classroom.